Datuk Dr Tan (fifth from right) taking a group photograph after the official launch of the 8th Malaysia Weiqi Open Championship. Accompanying him on stage are (from left), Mr Ho Hock Doong, Treasurer of MWA, Dr Tan Hui Yin, Deputy Dean of the Faculty of Applied Sciences (‘FOAS’), Assoc Prof Dr Ng Swee Chin, Vice President of TAR UC, Assoc Prof Dr Noor Zalina Mahmood, Director of Kong Zi Institute, Mr Tiong Kee Soon, President of MWA, (from right) Mr Yeoh Hock Seng, Head of the Centre for Pre-University Studies (‘CPUS’), Assoc Prof Dr Loke Chui Fung, Dean of FOAS, Mr Chow Chee Wen, Vice President of MWA, and Ms Tan Jie Yi, Organising Chairman of the 8th Malaysia Weiqi Open Championship. Two participants engrossed in their game of weiqi. 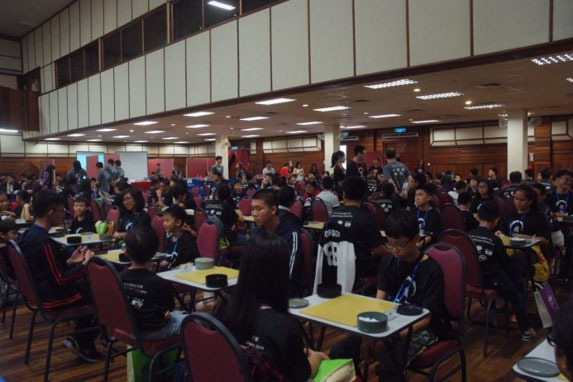 The 8th Malaysia Weiqi Open Championship attracted close to 240 participants of all age groups, including players from Japan, China and Korea. 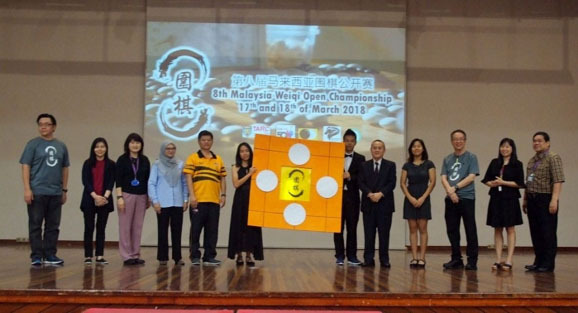 It was a weekend dedicated to the celebration of cultural values and friendly competition as TAR UC hosted the 8th Malaysia Weiqi Open Championship at the Main Hall, Kuala Lumpur Main Campus on 17 – 18 March 2018. Co-organised by TAR UC’s Sports and Exercise Science Society, Kong Zi Institute and Malaysia Weiqi Association (‘MWA’), this two-day event attracted close to 240 participants from all age groups, with some coming from countries like Korea, Japan and China to demonstrate their skills on the board. “Since 2010, TAR UC has been promoting the beauty of weiqi, deemed to be one of the oldest board games in the world. 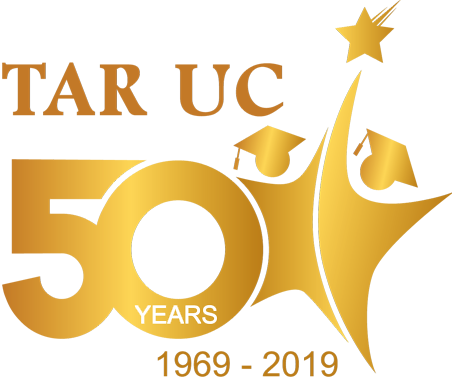 I am proud to see that we have kept this event going strong for eight years in a row,” said Datuk Dr Tan Chik Heok, President of TAR UC, who was present during the event’s opening ceremony. 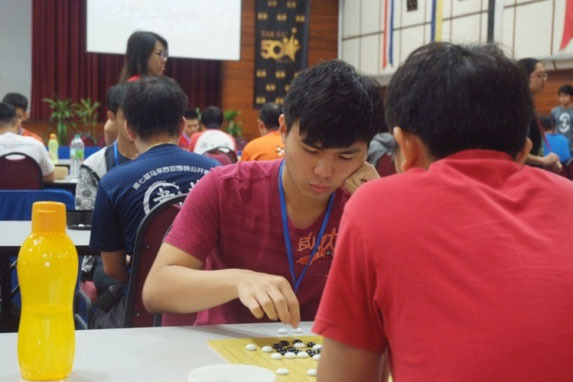 While on the surface it seems to be a simple game, Datuk Dr Tan emphasised that weiqi possesses a much deeper meaning which is beneficial to students’ development. “Our gathering here is the proof of weiqi’s unifying ability through the love for the game,” he added. The opening ceremony was also graced by the attendance of Mr Tiong Kee Soon, President of MWA, and Assoc Prof Dr Noor Zalina Mahmood, Director of Kong Zi Institute.